I’m grateful that his provision is not contingent upon my power; but upon HIS power! It is not contingent upon my power to ask, or to receive, but upon HIS power to give. There’s never been a power outage on God’s end! All things that pertain to life and godliness. Not a single Christian has been shortchanged. The plan of God is for each of us to live a life of glory and virtue. He wants our lives to be a life that will bring Him glory. This requires deliberate, purposeful pursuit and acquisition. This does not occur accidentally. We have been giving everything we need to go get what we still need. Now we have to add to it. Illustration: When a race car owner puts a driver in the seat of his race car, he has given him everything he needs. But he doesn’t give him everything it takes to win. The owner of the race car can give the driver a car, and a full tank of gas, and a brand new set of tires, and a hundred thousand dollar engine, and a flame resistant outfit, etc. But he cannot give the drive the initiative to win. Or the stamina to endure the race. Or the knowhow to navigate the turns. Or the common sense to stay out of the wall. Or the humility to follow the rules. He has been given all things, but he has to add to that list of “all things”. We cannot give up one for another. We must accumulate. We cannot exchange our faith for virtue, or knowledge for temperance. We have to add and accumulate. We cannot congratulate ourselves because we have finally attained ONE of these things. We need all of them. Together. 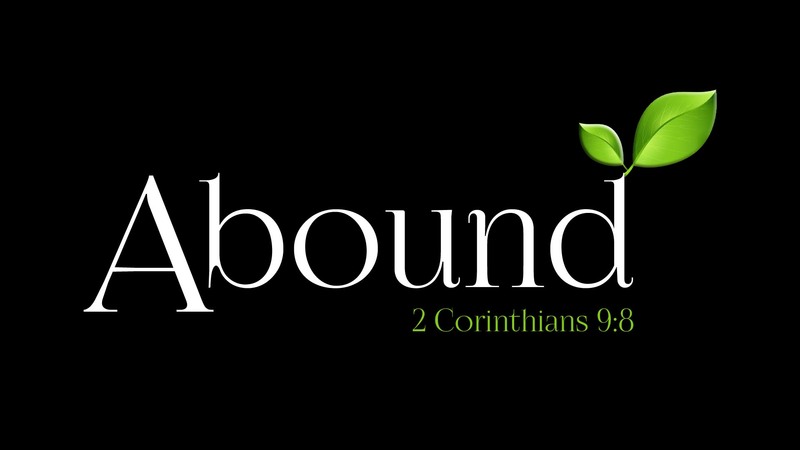 For if these things be in you, and abound. We cannot just have a small trace of these things. We need more than just a pinch of patience. God receives no glory with a barren life. Barren lives are not a virtue. There’s been a path provided for us to escape the corruption that is in the world, but we have to take it! There is no place in the Christian’s life to sit back, to coast, to roll in the clover. There’s work to be done, and we cannot be found barren! We know that God’s will is for us to be fruitful.